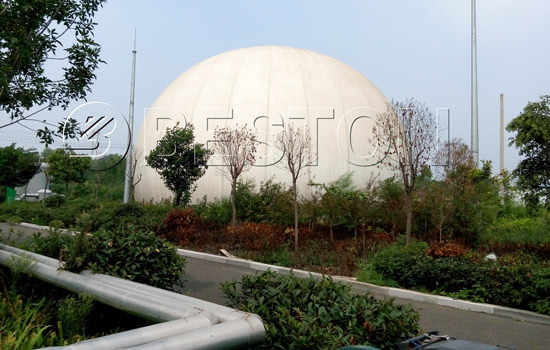 Beston municipal solid waste treatment plant can be used to classify all kinds of rubbish. In our daily life, a large number of municipal solid waste is also a big threat to our living environment. Therefore, how to find the effective ways to dispoal municipal solid waste? The answer is Beston MSW treatment plant. And the final products mainly include inorganic matters, organic matters, metal, glass, paper, plastic film, sands, earth and stone etc. 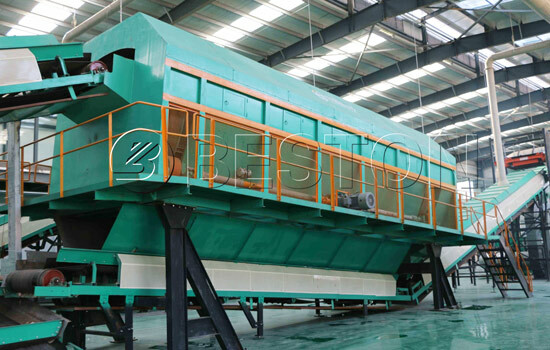 At this time, the separation rate of Beston MSW sorting treatment plant can reach more than 85%. 1. Reasonable structure and configuration. 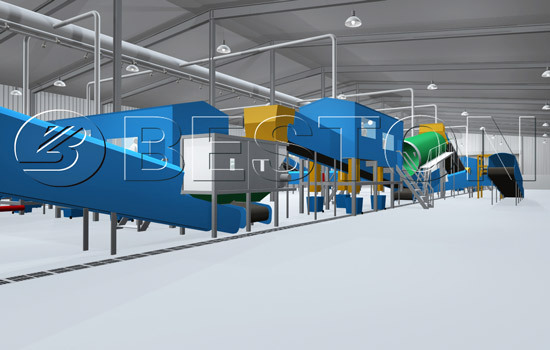 This trash processing plant with high level automatic operation is able to reduce labor intensity. 2. Smoothly conveying system. This system feeds the waste evenly without jam. And the reasonable connecting style for every transition point avoids material release or accumulation. 3. High-level wearability and anticorrosive feature are requested on every belt conveyer. To ensure safety of operation, manual cord switch and crash-stop devises are equipped on every conveyer. Moreover, the conveyers own more than 2-year serving life. 4. Manual auto switcher and crash-stop device. Every parts of the system are equipped with manual auto switcher and crash-stop device. Normally, we put these machines to easy operation position, which can avoid error starting or electrocution. 5. The LPC control system could monitor the whole working process of the line. Consequently, you are clear about every sorting step. 6. The sealed deodorizing system, as the unique aromatic ester spraying deodorant system, can keep the bad smell in the workshop away. Firstly, the forklift puts rubbish into the rubbish bin. 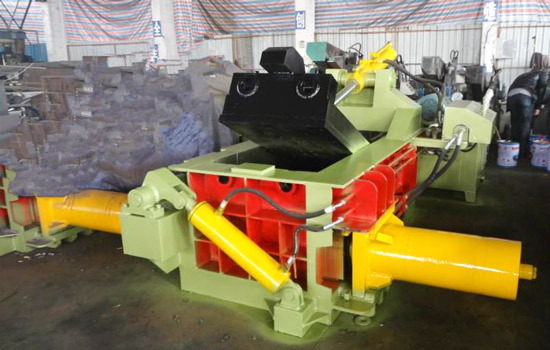 The receiving plate conveyor will take waste garbage away. The garbage will be evenly distributed to next step by distributing feeder. Secondly, these waste enters into the rotary screening machine. These waste will be divided into two types. One has less than 50 mm diameter. The other one has more than 50 mm diameter ( we can customize plug hole size according to the reality of garbage in your country). The undersized material is as raw materials for the fertilizing system. The oversized material will be transported to other devices (or packed storage) by the conveyor in the solid waste recycling plant. Do you want to further process these waste? Firstly, there is available packing machine for you. You can pack them and sell them directly. Secondly, you can install a composting system to recycle the organic matters. Thirdly, you are able to make bricks supplied to construction site by using brick-making machine. Certainly, other demands you propose about municipal solid waste treatment plant will also be satisfied. 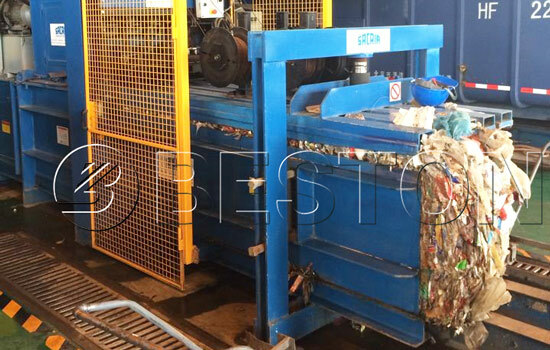 Do you know the usages of these waste after sorted by garbage sorting machine? The following information is a simple MSW management description. (1) Plastic film can be converted into pyrolysis oil or made into plastic particles. (2) Waste paper can be made into pulp to produce new paper. (3) Metal can be smelt to produce new metal again. (4) Glass can be reused. (5) The earth, stone and sand are the perfect material to make brick. (6) Organic matter can be made to biogas. Also, we can use the organic matter to compost by using fermentation system. 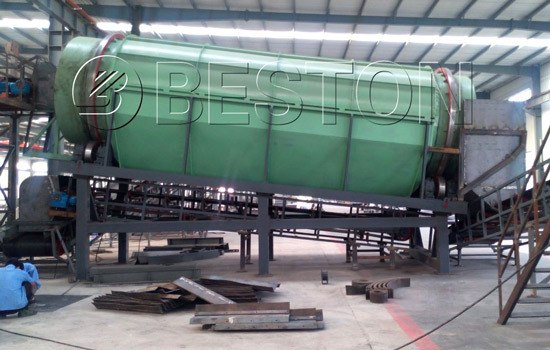 Beston Machinery (Henan) has always been adhered to the “engineering for tomorrow’s world” business philosophy. We not only dedicate to provide the excellent service and the top-rate MSW treatment equipment for customers but also are keen to make efforts to our planet we live on. We’d like to change the garbage treatment plant configuration according the garbage component of different locations and countries. The final purpose of this change is to make an environment-friendly and economic solid waste sorting machine project for customers. Currently, we determine to deal with the solid waste at every corner in the world, which helps to create a clearer, brighter and more beautiful future for us and the coming generations.